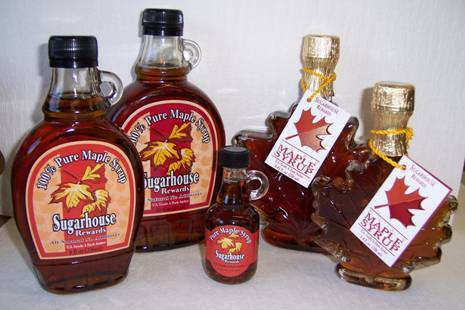 Building on our “High Ridge Rewards” theme, we have added Sugarhouse Rewards to our line of syrups. 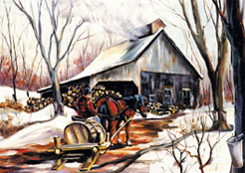 The name “Sugarhouse Rewards” came about because we feel it is our way of sharing our families “reward” and hard work of gathering and cooking pure maple syrup, which of course is done in our “sugarhouse”. Sugarhouse Rewards is packaged and made with the same great Smoczyk family quality. This brand was created because of a request by specialty shops in our area that did not want to complete with the local grocery stores, which carried our Smoczyk High Ridge Reward products. 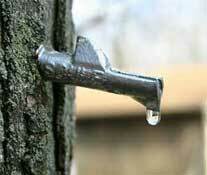 Sugarhouse Rewards is only sold through specialty shops and can not be found in mainstream grocery stores.